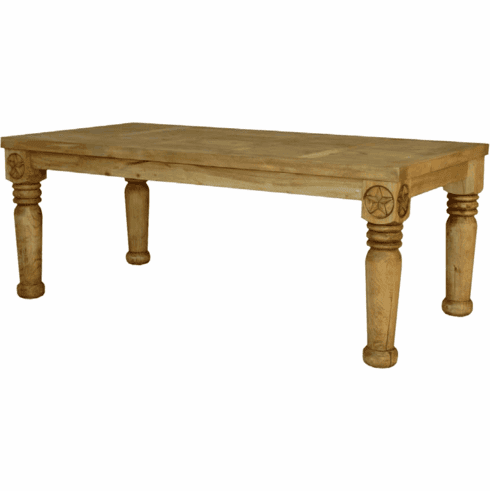 This beautiful wood dining table is truly unique, from our mexican rustic star furniture collection. Features include hand-crafted from 100% pine wood, carved star on leg and big fat decorative turned legs, to enhance the rustic look. Available in two sizes.